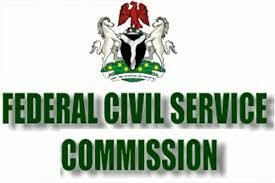 The Federal Civil Service Commission (FCSC) says it is not true that the commission is recruiting people into various Federal Government ministries. Dr Joel Oruche, the Deputy Director, Press and Public Relations made the clarification in a statement in Abuja on Sunday. According to him, the on-line recruitment advertisement purportedly by the FCSC is not true and should be disregarded. “The commission only advertises vacancies in the newspapers and on its website www.fedcivilservice.gov.ng. It would be recalled that many on-line media had on December 7 carried advertisements for job vacancies purportedly by the commission.